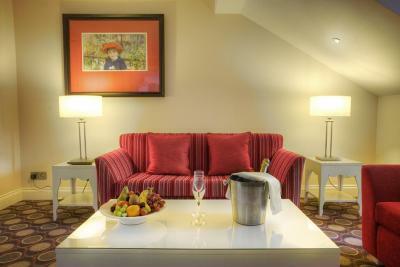 Lock in a great price for Holiday Inn - Glasgow - City Ctr Theatreland – rated 8.9 by recent guests! Excellent breakfast - scrambled egg was fabulous ! Dinner was sensational - and extremely reasonably priced as was the wine. Very comfortable bed. The location is perfect for us...and the mattress was even good, and that can make me crabby. The staff was lovely and they remembered me from last year. The room is a nice size, especially since we were there for eight nights. And the refrigerator is always important to us as we eat yogurt in the mornings. Comfortable bed. Clean room. Limited space. We were two people travelling with large suitcases and there was limited space for suitcases. Food in the restaurant was good but with an unimaginative menu. Restaurant staff was attentive and friendly. Cannot say as much for the bar staff. The room was comfortable. The food was good in the restaurant. Location is superior! Room was a tiny bit dingy, carpet was stained. Other than that it was great! Staff were very friendly and helpful. Room was clean with good lighting. Breakfast buffet was very good each morning. Ideal position for what we were doing a very short walk from the Buchanan Bus Station where the airport bus drops you off and close to the venues we were visiting for Celtic connections. Location location location !!!!! Very easy check in and the executive bedrooms which we always stay have been decorated. Absolutely gorgeous. Typical Holiday Inn, very clean, comfortable beds, great staff, great location. Close to the train and bus stations, so we walked over. Many restaurants in the area. The staff is so friendly and accommodating. The hotel decor is beautiful. It was a wonderful experience. Holiday Inn - Glasgow - City Ctr Theatreland This rating is a reflection of how the property compares to the industry standard when it comes to price, facilities and services available. It's based on a self-evaluation by the property. Use this rating to help choose your stay! 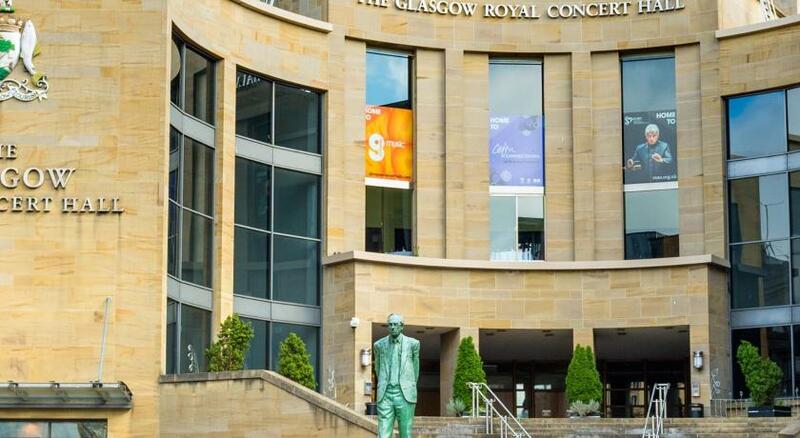 One of our top picks in Glasgow.This 4-star Holiday Inn is located in the heart of Glasgow, just 150 feet from the Royal Concert Hall. 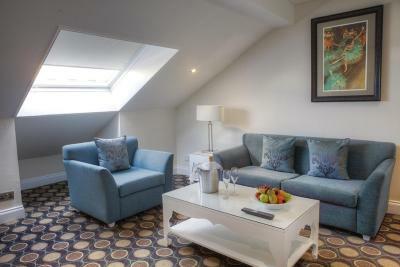 It offers bright, elegant rooms with modern bathrooms, unlimited free Wi-Fi and an award-winning restaurant. Bedrooms are light and airy and are decorated in a modern style. They are equipped with air conditioning and feature satellite TV with Sky Sports and pay per view movies. The Parisian style AA Rosette La Bonne Auberge Brasserie serves traditional Scottish breakfasts and authentic Mediterranean and French cuisine in stylish surroundings. The bar offers a wide range of cocktails and fine wines. 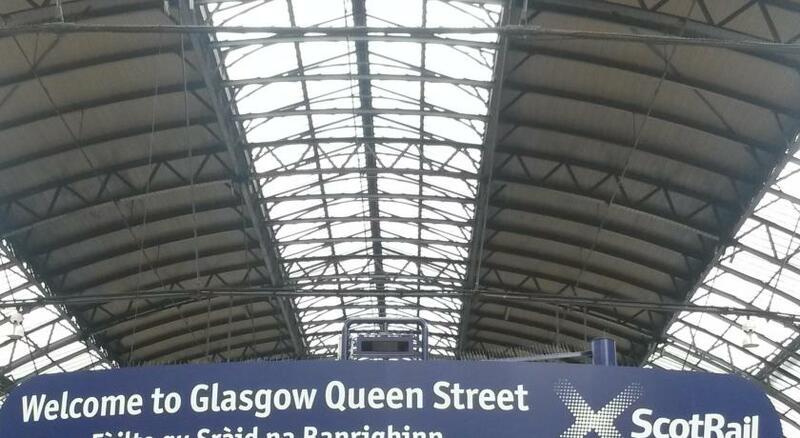 The King and Pavilion Theaters and Glasgow Queen Street Station are all within a 5-minute walk of the hotel. 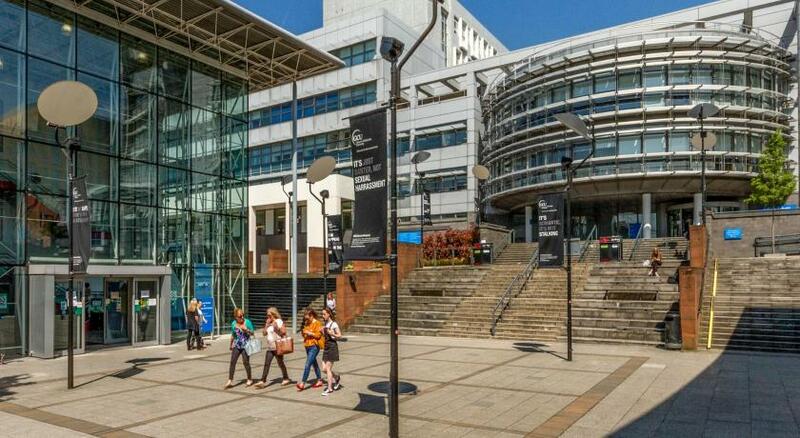 Glasgow has excellent shopping, with the Buchanan Galleries Shopping Mall just 350 feet from the hotel. 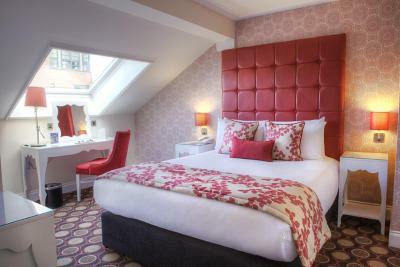 When would you like to stay at Holiday Inn - Glasgow - City Ctr Theatreland? 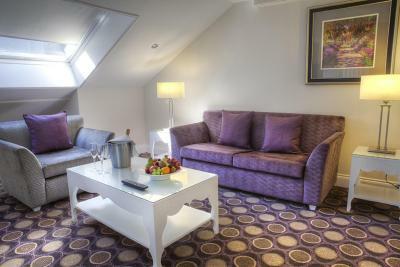 This suite has a bathrobe, sofa and seating area. 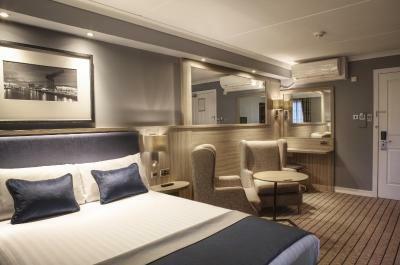 The Holiday Inn Glasgow Theatreland hotel is a popular choice for hotels in Glasgow due to its position in the heart of Glasgow city centre, its boutique Glasgow hotel styling and excellent service levels. 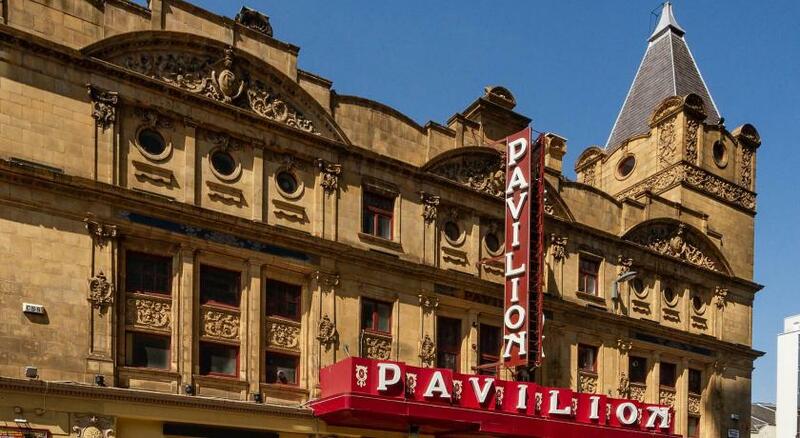 A stay in Glasgow at the Holiday Inn in Glasgow’s trendy Theatreland district puts you literally steps away from numerous theatres. 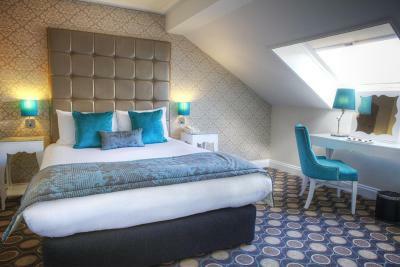 House Rules Holiday Inn - Glasgow - City Ctr Theatreland takes special requests – add in the next step! 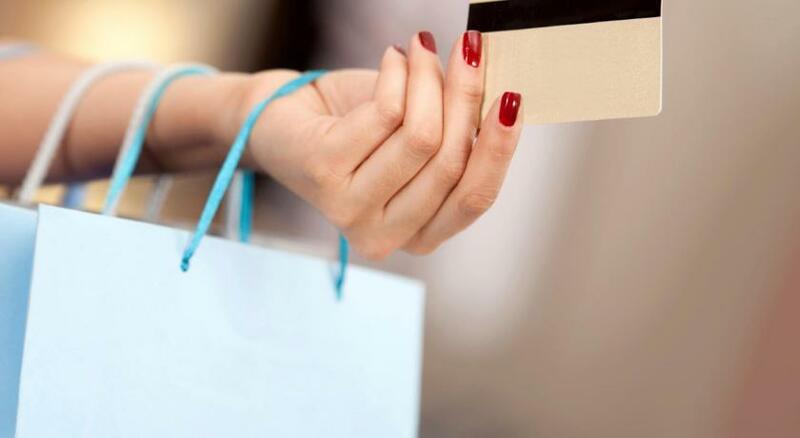 Holiday Inn - Glasgow - City Ctr Theatreland accepts these cards and reserves the right to temporarily hold an amount prior to arrival. They should not knock on the door if I haven’t hung clean my room sign on the door handle. Breakfast buffet. Breakfast was average and have had much better in a premier Inn. Too little space in the reception area when more guests arive at the same time. Parking very close. Nice spacious room. Cosy bar in the evening. Good location. Staff very pleasant, efficient and helpful. Very quick check-in. Lovely room. Very good breakfast. A quiet hotel with a relaxed atmosphere. The staff were very helpful and friendly. Room very clean and comfortable. Location excellent. excellent choice at breakfast. food first rate ,plus good service. Good location, nice clean room, breakfast and staff good! !